Mod for PES 2013 game, created by reza.k. Mod for PES 2013 game, created by VinVanDam13. Mod for PES 2013 game, created by conTRaksi. Mod for PES 2013 game, created by Expo Gaming. Mod for PES 2013 game, created by SRT. 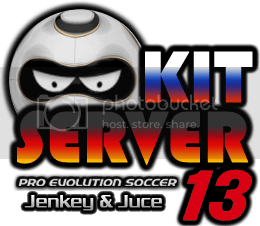 Mod for PES 2013 game, created by SKILLS_ROONEY. Mod for PES 2013 game, created by TavinKM. Mod for PES 2013 game, created by CyGNuS. Mod for PES 2013 game, created by Grkn Design. Mod for PES 2013 game, created by NARIMANI. Mod for PES 2013 game, created by Fanta©. Mod for PES 2013 game, created by BlackWhite.